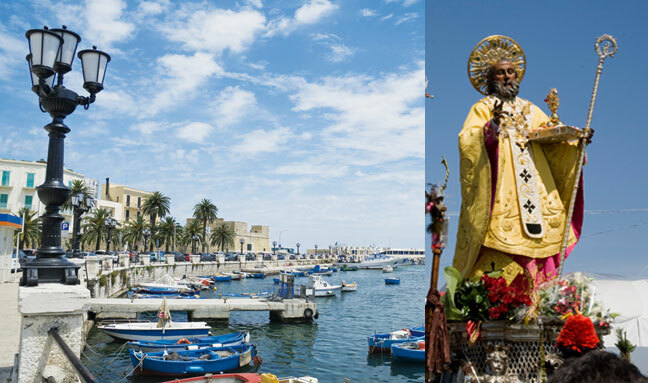 Bari is without doubt the pulsing heart of Apulia: situated almost midway down this Italian region and almost sticking out into the Adriatic, Bari looks almost like the pointer on a set of scales, the perfect point where the populations from the south with markedly Mediterranean characteristics meet those of the north who overlook the “continental” areas. 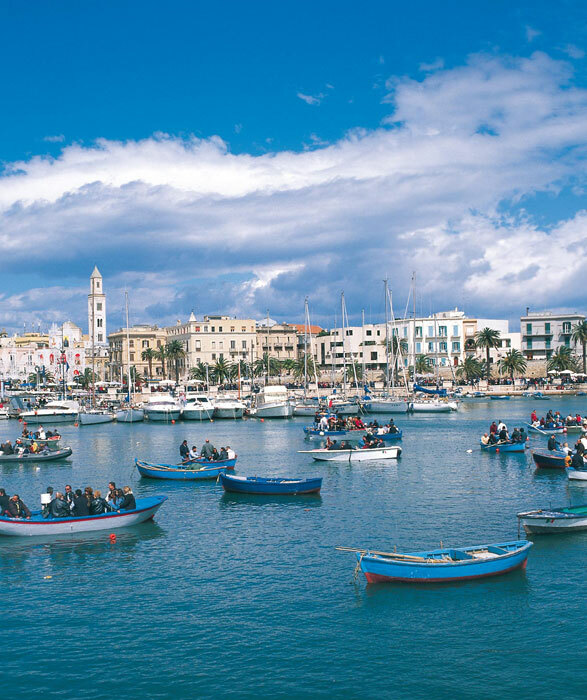 Bari, with a population of over 700,000 in the town itself and with its territory in continual expansion is decidedly one of Italy's metropolitan towns and one of the largest municipalities in the southof Italy. 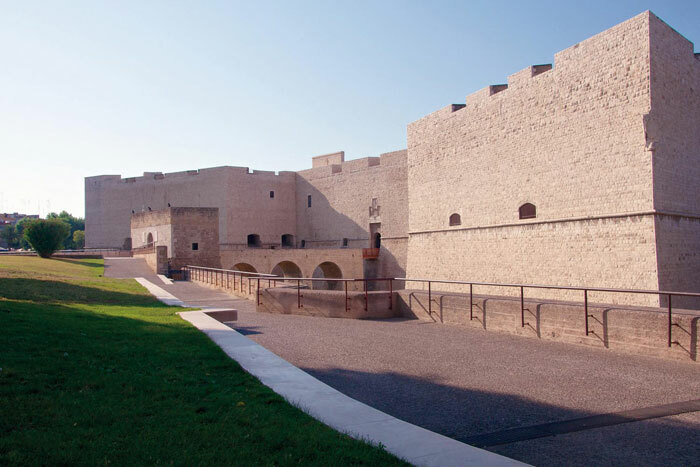 An area it is helping restart, able to count on the solid mercantile and commercial maritime traditions which made this town “the door to the Orient” assisted by the institution of the “Fiera del Levante” (fair of the east). 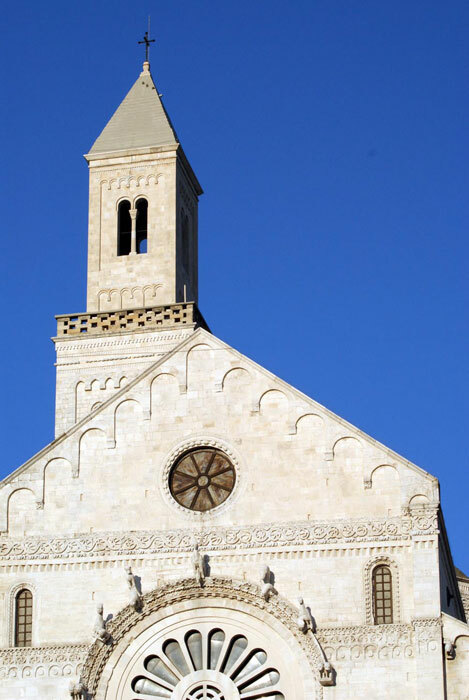 A true amalgamation of cultures, ethnic groups and religions animate the capital of Apulia. 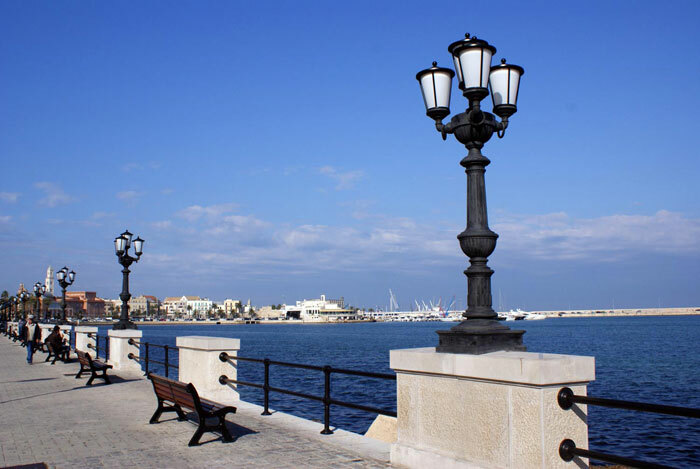 Set like a rare pearl within its mediaeval walls the old towncentre is better known as “Bari Vecchia” (old Bari) a name adopted at the start of the 1800s to distinguish it from the new town that was developing at the time under the rule of Joachim Murat. Many different peoples, sometimes threatening, have left their mark on the welcoming Bari land: the Peuceti during the Bronze Age, Romans during the building of the Via Traiana, Lombards, Byzantines the influence of whose culture can be clearly seen in the town, the enemy Saracens, the Normans, the Swabians with the emblematic Frederick II who had the castle built, and even the Spanish. It is a history that runs through the town indelibly soaked into the white stones of the oldest buildings, the narrow paved lanes and on the great wooden doors of the churches crowned with stone arches and watched over through the centuries by mythological anthropomorphic and animal sculptures; to a more recent past with the expansion of Murat's town, the founding of the university, the “Fiera del Levante”, the theatres for the towns people; it has also passed through dark moments, like the tragic bombing during WWII, moments from which the town has always managed to rise again thanks to the authenticity of the people of Bari and their genuineness and honesty,also expressed in the local dialect which can be considered a work of art and a territorial flag along with the patron saint St Nicholas.